Thanks to Just Born for sending over this adorable bed set for me to include in the Baby Shower Gift Guide, regardless all opinions expressed below are my own. If you saw my most recent Baby Shower Gift Guide post, you'll notice that we are getting little Miss Delainey's room in order! We still have some big decisions to make, like deciding whether or not we'll paint the walls in her room, but I'm certain I'm loving the color of her furniture and most recently the addition of a matching bedding set just for her! 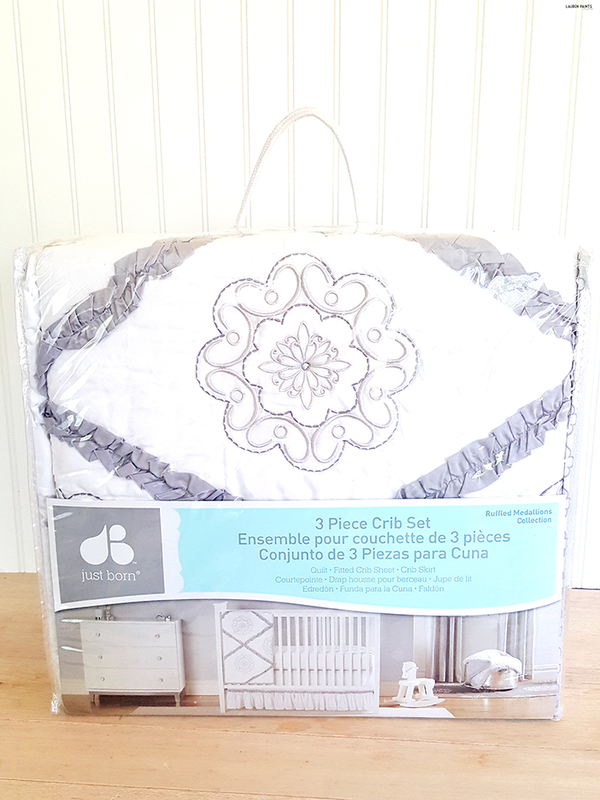 This dreamy Just Born bedding set is the perfect match for our grey furniture. Their chic and stylish sets are all beautiful but the Ruffled Medallion set it beautiful in her room. The little ornamented features, the ruffles on the bed skirt, and the soothing gray color are exactly what I had in mind when I picture her room. 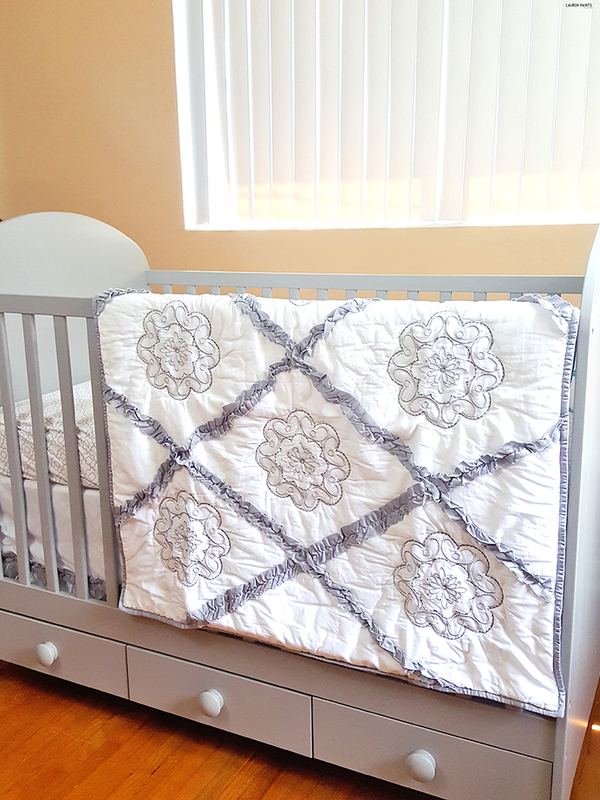 The classic style and structure of this bedding set is something that will grow with Delainey into her toddler years and since it's such a timeless style, I'll be able to use this bedding set again if we have another little princess in the future. Are you looking for a bedding set for your baby? Interested in spoiling your best friend with a new set for the little one she's expecting? Just Born has some of the cutest sets on the market and since they are available at some of the most popular baby stores (like Babies R' Us, Buy Buy Baby, and Amazon), you're sure to find the look you desire! 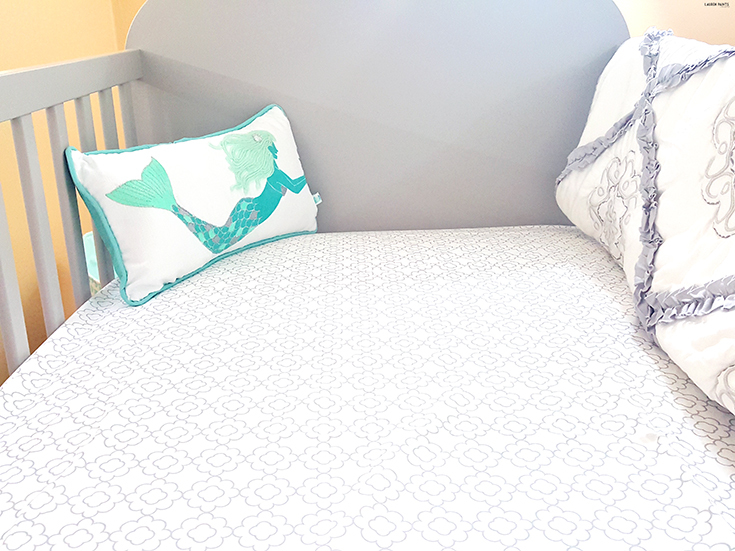 While the look of the bedding set you choose is important, you can also rest easy knowing that Just Born products are made with the highest quality materials and designed for your baby to sleep safely and soundly while you get some rest as well! 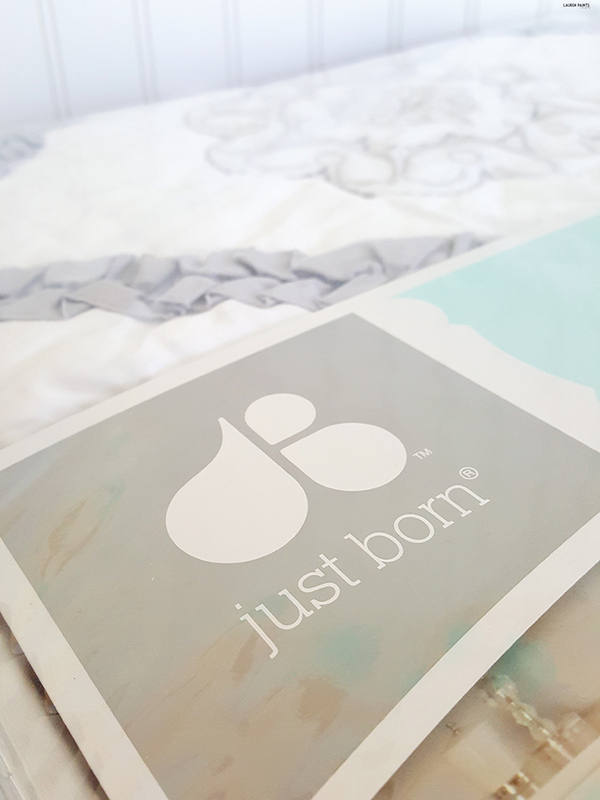 Just Born doesn't just make adorable bedding sets though, they offer a little bit of everything a babe needs! From muslin blankets to hooded bath towels, everything snuggly your little one needs is available in adorable styles from Just Born! I'll be featuring an adorable Deluxe Swaddle from Just Born in a few weeks, because there are so many items I want for Delainey from Just Born that I couldn't fit them all in one post. So tell me, what's your favorite bedding set from Just Born? Are you a fan of the Animal Kingdom set or the Classic Aqua collection? Check out the entire Just Born line up and tell me all about your favorites in the comments below!